Broadway Autopark is the new way to live downtown. By utilizing the historic Knightley Parking Garage, we’ve created a place where residents can ride in comfort all the way to their doorstep! Park right at your front door! Many consider the 1950s to be the Golden Age of the Automobile. Broadway Autopark was once a full-service 1950s parking garage and continues to stay true to that history. We have embraced the automobile as part of Wichita living! 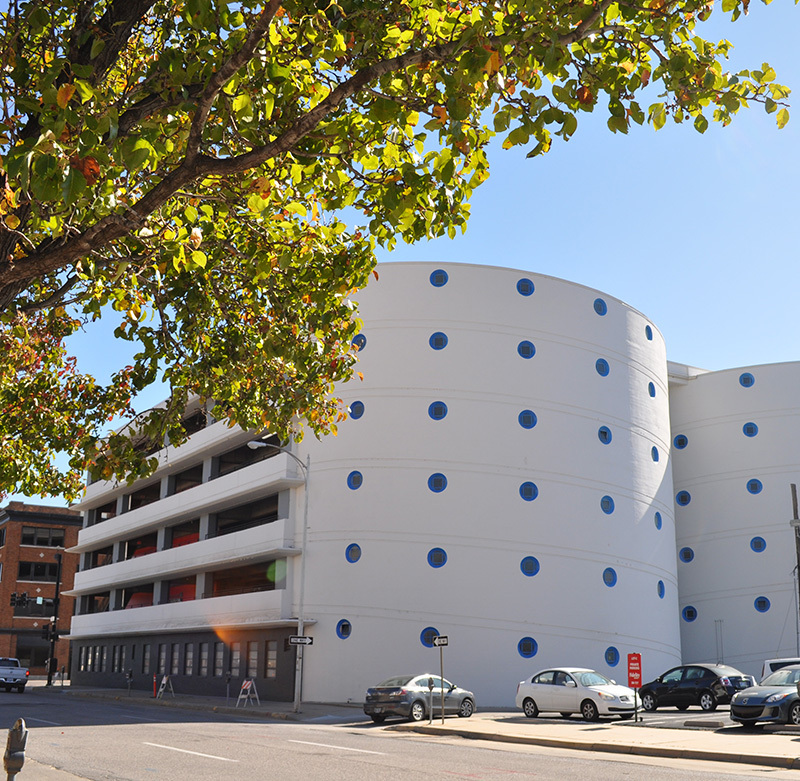 Broadway Autopark sets itself apart in downtown Wichita with unique covered parking right at each unit’s doorstep. Residents are able to have a sense of safety and accessibility to their vehicles and can drive right up to their apartment. You get the best of both worlds at Broadway Autopark with front door access to your home and the convenience of living downtown and downtown walkability.